So much has changed in the last week that I feel I can only post in bullet format. I’m sorry for how this may look, but I hope you can forgive me. Today the ABF pup was picked up and is starting its long trek from Litchfield Park, Arizona, to Sterling, Nebraska. We packed the ABF pup from Saturday through Monday. On Saturday we had lots of help and got 90% of the trailer loaded. On Sunday and Monday I worked alone and finally finished the trailer. Where did all that stuff come from? We have moved out of our rental house and are now living in temporary lodging on base. We leave Arizona on Friday. There will be a going-away lunch at 1200 and the van will be loaded in the parking lot. Immediately after the lunch, we will run down to the van, pile in, and start driving, aiming to reach Gallup, New Mexico. Saturday we will drive on to Guymon, Oklahoma. And Sunday we will finish the drive, possibly taking a slight side trip to visit family in Lincoln on our way in. We have ordered chickens and expect them to be delivered during the week of 24 September. I still need to set up a personal email account. I have always used my work email account, but I think it is time I set up a personal account to keep in touch with folks. When I visited the farm Labor Day weekend, I found a letter addressed to me telling me that I had a writing assessment with Citizenship and Immigration Services (CIS) in Lincoln! The problem was that my test date was for the week before. I called CIS and asked if I could take the test in Phoenix or if I could wait until the week of 17 September to take the test. Thankfully, they agreed to allow me to take the test in Phoenix on 11 September 2007! I had an interview the first week of September with the Tecumseh State Corrections Institution. The interview was a structured interview with pre-written questions that were graded by a panel of interviewers. I felt like I bombed the interview. Most of the questions were pretty far outside what I normally experience, and they left me feeling like I didn’t know what I was talking about. Last Friday, I was offered a job as a Unit Case Worker at the prison in Tecumseh. One of the things I like most about the job is that it is very close to home, only about a 10-mile drive. After receiving the offer, I contacted my friend who is a warden and we set up some time to discuss Monday morning. After talking with my friend Monday morning, I accepted the job offer with the prison in Tecumseh. Today, I drove into downtown Phoenix and took the writing assessment for the CIS job. I told the kids we will just wait and see what God’s will is – will he extend a job offer from CIS? And, if so, how good will the job offer be? Hopefully, it will be clear to us what God’s will for us is. I have an appointment next Monday at the Johnson County Medical Center for my physical exam. I am scheduled to start the Nebraska Corrections Training Program (a 5-week program) the following Monday, 24 September. There is still very little movement on this front. Eighteen months ago, we were approved by CIS to immigrate two children from China. That was about to expire, so a few weeks ago we submitted a renewal application, and last week we went to CIS in Phoenix to update our fingerprints. The story about our experiences there is perhaps a story for another day. Only two months left until our due date! Abigail Ruth is growing quickly and is a strong little girl! As many of you know, Gina and I really want to continue to grow our family. That is why we are adopting internationally from China through Great Wall China Adoptions. It is also why we went to San Antonio last October to visit with Dr. Cary Leveritt. So one of my great stressors is, if we get pregnant, then how will God work out the timing of the adoption with the timing of a birth? Great Wall advises parents with new infants to wait one year before traveling to China for their adoption. I have latched on to the word ‘advise.’ If we are in that situation, I don’t really think that I will want to wait to travel at all. Gina has said that the only thing she really doesn’t want is to wait to travel after we have a referral. I agree that I would not be able to handle waiting to travel, knowing all the while that our baby (or babies) are sitting in an orphanage in China waiting for us. Every day delayed would be one day more that we don’t have them. But that is not all. I am also stressed out about the move in general. I want to find a job and move to Nebraska soon — but when will God allow that to happen? It is hard to let go. But I have lately latched on to the following verses: “Do not be anxious about anything, but in everything, by prayer and petition, with thanksgiving, present your requests to God. And the peace of God, which transcends all understanding, will guard your hearts and your minds in Christ Jesus.” Philippians 4:6-7. Our outlook really has changed here. We used to think we needed for the adoption to be final before we could move to Nebraska. But now it turns out that the only thing we now need to move to China is a job! Based on my current leave balance, it looks like if I take no more leave for the rest of the year, I can go on ‘terminal leave’ on 1 September. I’m not sure if there are any other benefits associated with a separation, such as time for moving household goods back to my home of record. I still wanted to take some time off, though, in May or June to inspect our newly-acquired residence, so I probably won’t be going on terminal leave quite so soon. Plus Caleb constantly asks me to take days off, right now he is pushing for me to take his birthday off. So now we wait for word back from either Nemaha County or USCIS (as I think those are my best prospects). Whew! Today I finally sent off two applications that I have high hopes about. The first was a coverletter and resume to the Nemaha County Attorney, in hopes that I might be able to fill their recently-vacated deputy position. When I spoke with the county attorney, he didn’t seem too encouraging, but I really feel that this position was communicated to me as a God-thing. There is no other way I would/could have found out about it since it is still not an advertised vacancy. The other application I sent in is less crucial, but I applied for adjunct faculty positions with Peru State College in Peru, NE. Peru is in Nemaha County, so it would be simple for me to complete my work in Auburn, then swing up to Peru to do some teaching. I can’t remember whether I communicated our good news from Monday yet or not, but on Monday Gina learned that if we leave the state of Arizona while our adoption is still pending, it will not impact our ability to adopt! That means we don’t have to wait for the adoption to be final to move to Nebraska! We are very excited — that is what has led to this renewed vigor in my job search. As soon as I get a job offer, I will apply to seperate from active duty in the Air Force. I still plan to be a reservist at Offutt AFB, though. If I can’t get out early, I can still get out around 1 September! It is exciting to think that we are only months away from reaching our dream! Today I need to make at least two phone calls. First, I need to call the seller of the house in Nebraska, Normand, and talk to him about the septic tank problem. I talked to Gina’s uncle, Rick, last night, and he is certain that we have a saturated drain field and that the drain field will need to be replaced. Rick will help me install the new drain field when the time comes, but I don’t want to have to bear this expense all by myself. I still need to talk to Gina about all this, too. Second, I need to call the county attorney for Nemaha county and ask him if I can send him my resume. I will send in my resume regardless, but I want to make contact first. Gina will need to call Great Wall to see what impact our relocation to NE would have on the adoption process, if any. I also need to go for a run today. I am sure that Caleb will want to go along, and Meagan may also want to go along, which will complicate things and will make it very hard for me to get in a decent workout. Oh well. I could go running now, but I know that I won’t. Today we got our monthly email from Great Wall China Adoption, telling us where we stand in the adoption process. We filed our paperwork with the Chinese adoption agency last March, and have been waiting ever since. The paperchase leading up to our filing in March had lasted for about 8 months, starting in July 2005. So we have been waiting for eleven months now. The current length of time from filing to referral is 16 months and seems to still be lengthening. We are told that China is aware of the lengthening timeframe and is working to curtail it, so I am still hopeful that we will get a referral within 18 months, but that may be wishful thinking. If they continue to lengthen at their current pace, referral probably won’t happen until after the first of next year. Eighteen months would put our referral in September of this year. It looks like travel to China will occur 6-8 weeks after referral. I would REALLY like to have a new baby or two before the end of this year, but it will all happen in God’s good timing. Please pray for our patience. Waiting is SO hard. I am beginning to think that we won’t try to leave Arizona until after we have completed our adoption, although my dear wife was going to see how much trouble it would be to change our state of residence during the adoption process. Following is a series of photos of our homestead. 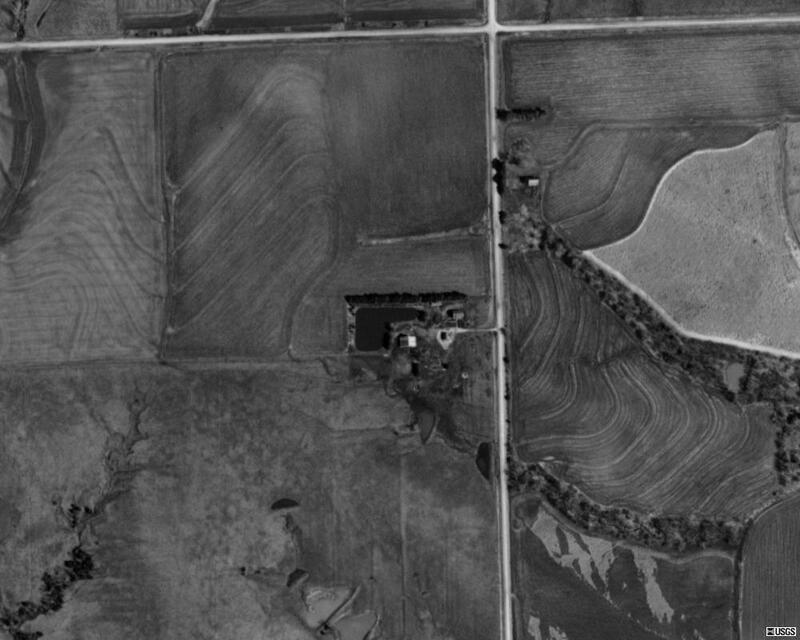 First, a view of our homestead with several surrounding homesteads — can you pick ours out? 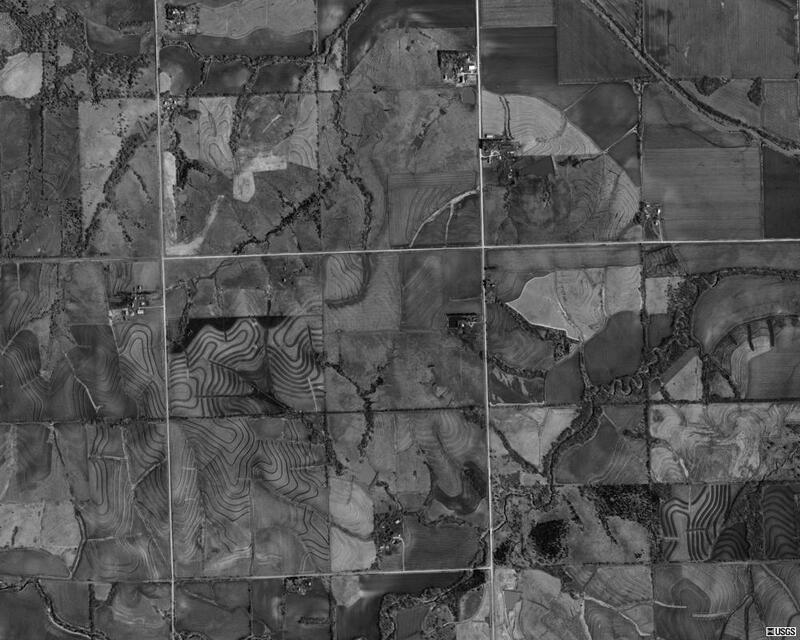 Next, a zoomed-in view of our homestead — that’s our 78.68 acres right in the middle of the image, with the tree line that slices off its lower left (southwest) corner. The homesite of 4.55 acres is located to the northeast, along the road on the eastern edge of our land. Today is an average day at work, but I detest that I have to be at work. Right now, I am dreaming of the farm. Let me tell you a little about the progress we have made and the progress we hope to make in the near future. 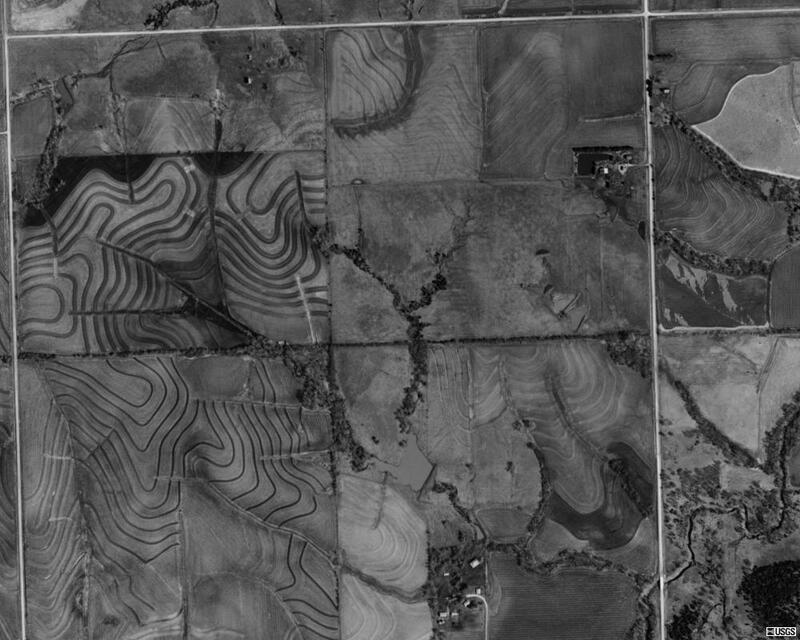 Land — we purchased land in Johnson County, Nebraska, 78.68 acres to be exact, and we hope to move there soon, but there are alot of roadblocks between here and there. House — we have reached an agreement to buy 4.55 acres that border on our land. The homesite includes a 1925 farmhouse, a barn, a chicken coop, and a windmill, among other things. We are hoping to close on the house in March of this year. Adoption — we submitted our dossier for adopting twins from China in March 2006. Since then, we have been waiting (impatiently) and we appear to still be months away from traveling to China. This is part of what will be slowing us down in our move to Nebraska — we are already approved to adopt in Arizona; I don’t want to have to get re-approved in Nebraska. Every month, the Chinese Adoption Agency comes out with a report on where we stand in the process. Unfortunately, they have really slowed down in their referral rate, only moving through about two weeks’ worth of referrals every month, so it looks like we may not get our referral for another year. Job search — I have sent out a handful of resumes, but haven’t gotten any good responses yet. In other words, I am in the business of collecting rejection letters again.